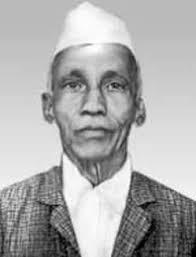 Dattaraya Ramchandra Kaprekar was born on January 17, 1905, at Dahanu, near Mumbai. Dattathreya Ramchandra Kaprekar was an Bharatiya mathematician who described several classes of natural numbers including the Kaprekar, Harshad and Self numbers and discovered the Kaprekar constant, named after him. Despite having no formal postgraduate training and working as a schoolteacher, he published extensively and became well known in recreational mathematics circles. Calculations thrilled him. He started trying to find the shortest possible routes to solve mathematical problems. He used to spend hours solving mathematical puzzles and problems. In 1927 he won the Wrangler R. P. Paranjpe Mathematical Prize for an original piece of work in mathematics. In 1929 he took his B.Sc. from the Fergusson College in Pune and became a school teacher. It is the number 6174. To see how it is constant, take any four digit number in which not all digits are alike. Arrange the digits in descending order and reverse them to make a new number. If this process is repeated with the remainders, eventually, say, in eight steps or more, the constant 6174 is arrived at and this number then itself. This entry was posted in Biosketch on January 20, 2017 by navayugbharati. If I take the number 1000 in the first step, then rearranging in descending order gives back 1000. Reversing them gives me the number 0001. If by remainder, you mean 1000-0001, I get 0999. I rearrange and reverse to get back 0999, and the new remainder is 0000, a dead-end.